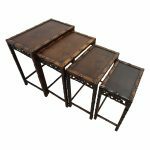 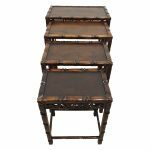 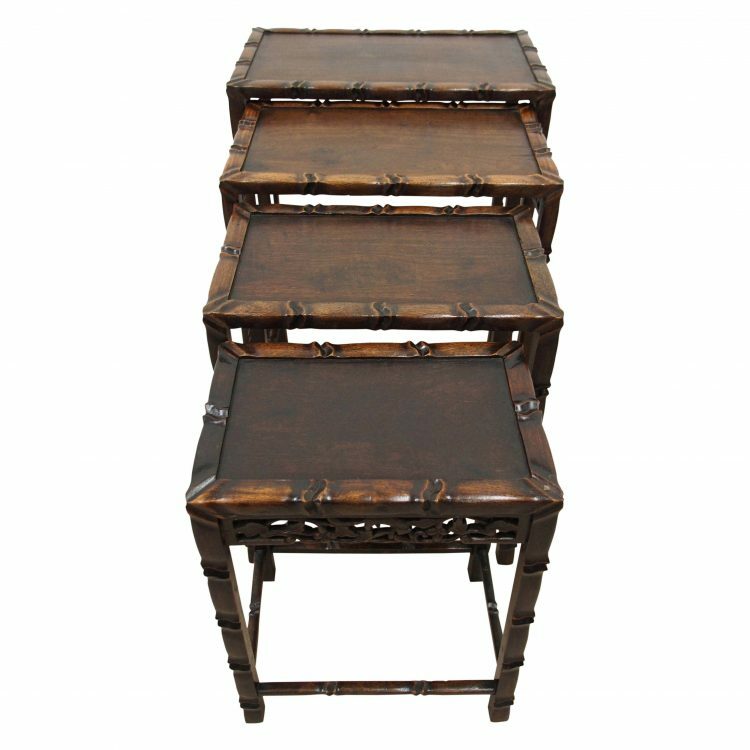 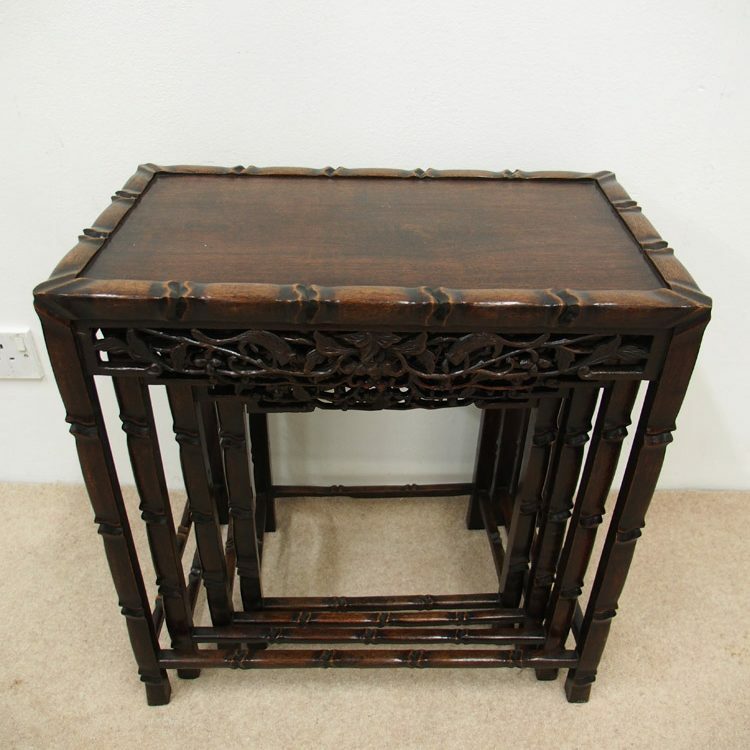 Circa 1900, Qing dynasty quartetto of rectangular tables. With a raised scalloped rim around the tabletops, in a faux bamboo framing. 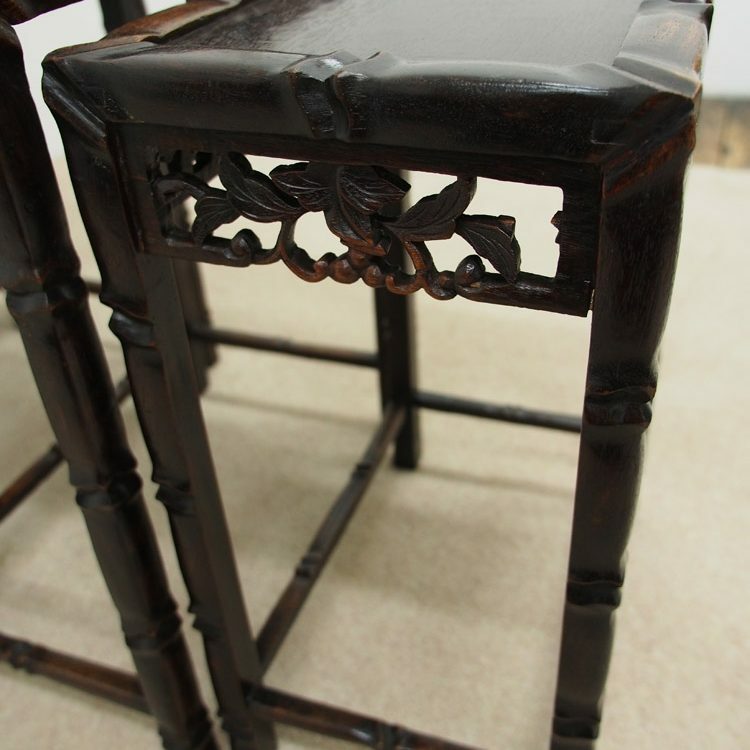 They have cherry blossom open fretwork rails, the faux bamboo effect continues on the stretchers. 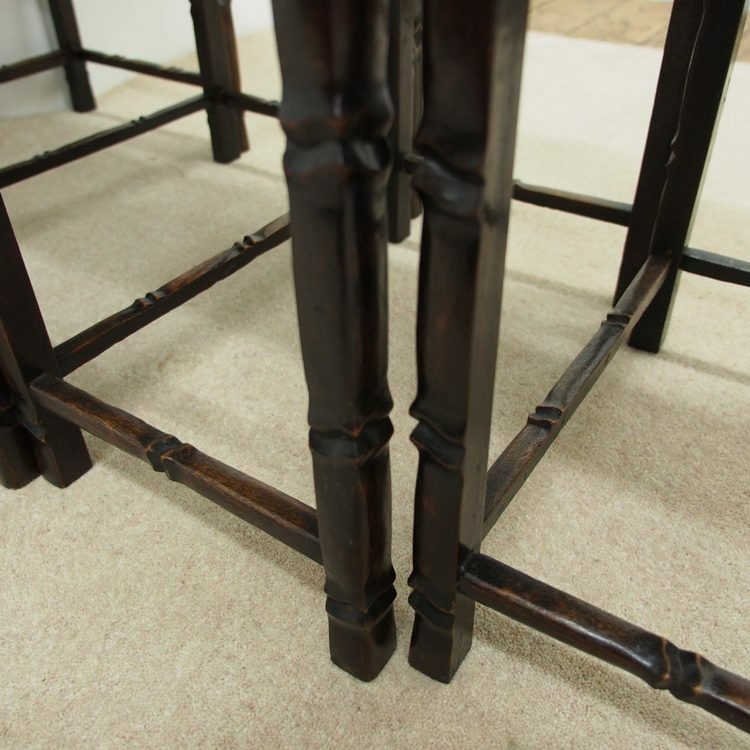 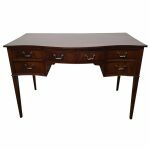 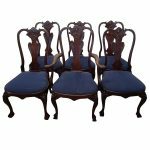 They have excellent quality beech linings and a slightly curved foot.